The Biochemical Society, the Society for Experimental Biology and the British Ecological Society are delighted to announce their third joint scientific conference. An important challenge facing the future of humanity is food security. This resource is heavily supported by the actions of insect pollinators and attacked by insect crop pests. Agrochemical intensification has reduced the amount of natural forage and breeding/nesting sites for insects and simultaneously has provided large bonanzas in the form of crops. Therefore, it is currently necessary to fight the battle against pest species using insecticides. 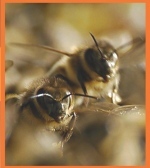 This approach is a double-edged sword with both insect pests and pollinators being vulnerable. This conference will discuss whether the key insecticides being used in this battle have an overall negative impact on bees, and so food security. To maximise the impact of this symposium, an open scientific discussion will follow the talks to give the media and stakeholders an opportunity to ask thescientific audience questions, so that the science can directly inform the media and policy.